Apart from Freud, mainly known as a founder of Psychoanalysis, less well known is that he was also a very good neurologist. His theory has some solid neurological base. The chapter ‘The other road: Freud as Neurologist’ was a contribution to the great man. The length of studies and experiments on anatomy and neurology would qualify Freud as a great Neurologist. In the chapter of ‘Scotoma: forgetting and neglecting in science’, Sacks paid tribute to those scientists who made big discoveries as the time and technologies could allow but then were totally forgotten by later generations until someone else rediscovered the same thing. It’s sad that science doesn’t move straight forward but appears to be two steps forward and one step backward. Hopefully advanced computer science can improve on that front. When gazing at the sky, we see stars shining and know there is an infinite universe out there – we don’t know how big it is and if there is an end. I think the same principles apply to our human brain – with its hundred billion of neurons, each with more than one thousand synaptic, we don’t know much about our brain yet, each as a star in the sky, although neurological research has advanced so much in the past few decades. But we’re doing better every day. The book is beautifully and poetically written and it’s easy to understand. Recommended to whoever would like to know themselves more. 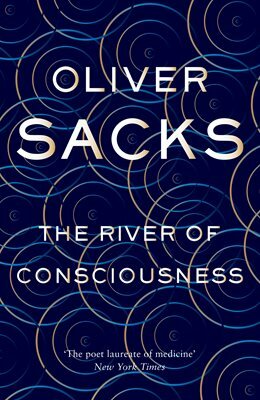 This entry was posted in New Arrivals, Non Fiction, Recommended Reading and tagged City of Parramatta Libraries, Oliver Sacks, The river of consciousness by admin. Bookmark the permalink.